Barista-Hotelware is a brand name by Logoforma. We have been active in the world of Glass & Porcelain with logos since 1989. We decorate your Glass & Porcelain in our own decoration factory in Hengelo, The Netherlands. Because of your lengthy experience, we know what the hospitality industry wants and how to best realise your branding in this market. Our products are accessible, pretty to look at and practical. We design quality products that are user friendly and affordable. We listen to you and translate your wishes to an end result. In the Barista-Hotelware assortment there are many possible combinations, always at least one for you! By fine tuning our collection we can offer you a complete selection which is modified to your specific taste, style and wishes. Besides our own series of coffee cups we also offer collections from other renowned factories. The products are decorated by us with the same eye for detail and thrive for perfection. We combine our extensive experience and specialised knowledge of the modern market with a customer based approach. We believe in character and identity, in creativity and innovation, but also in timeless design, sound quality and integrity. 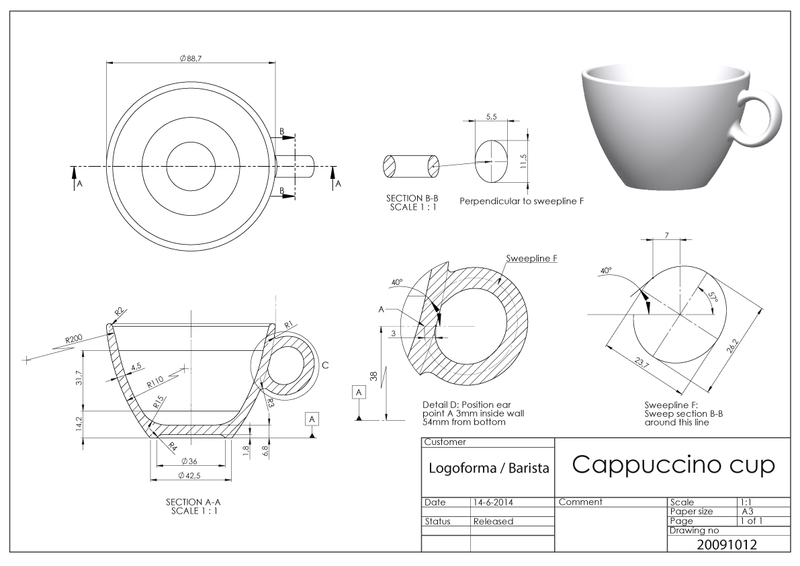 Besides the standard Barista-Hotelware collection we also offer the possibility to create a completely new product. We have outstanding relationships with multiple porcelain factories where we can develop the perfect cup. Together we can work towards an end result, with which you, as coffee brand, can be unique in the coffee market. Every consumer will recognise your brand by its own style and unique design. Naturally, for your own line of cups greater quantities are required. Ask us about the conditions and possibilities! We love to help you take the next step!